CommonAge, the Commonwealth affiliated Association for the Ageing is celebrating 70 years of the Commonwealth with the launch of its unique book created as a result of its Story Telling project. 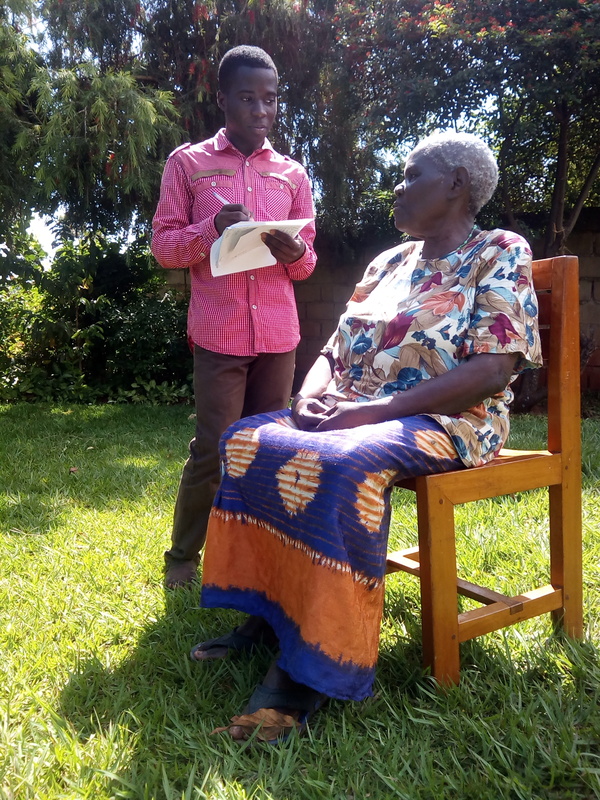 Launched in 2017, the project was run in the form of a writing competition and encouraged young people to spend time talking with an older person about their life, and then write about their experiences. A Common Wealth of Experience: Freedom fighters, child brides and other untold real life stories consists of 50 stories, and it takes the reader on an exciting journey across 22 countries, with people aged between 73 and 101 recalling natural disasters and wars, cultural influences and life events. The storytellers themselves come from a wide variety of backgrounds and cultures. Stories from Africa include Malawian Felistas Muhame describing dancing for rain, from Cameroon, Nini Mary Gha-ah tells of living with the stigma of infertility, while 96-year-old South African Senmathie Pillay explains how she harboured political activists such as Billy Nair. From Asia, Sri Lankan Mr Laurence de Seram describes his tenacity for education despite coming from a poor background. Dr Ahmad Shamsul Islam from India tells his young author of his love for botany and how he survived a bombing in WWII. In Bangladesh, there are freedom fighters and child brides, while in Barbados, the renowned cricketing legend Sir Everton Weekes tells of the challenges of overcoming racism, Mrs Ada Straughan is described as a ‘visionary nation builder’ and Dame Maizie Barker-Welch as an original trailblazer for women’s rights. As part of the submission process, young authors wrote about what they had personally gained from the conversations, and the responses show the life stories made a significant impression, with several saying they had gained a new respect for the older generation. Two 16-year-old authors from Cyprus said hearing the life story altered their view on society and its flaws. A young Maltese author commented on how much more she now appreciated that today Malta is at peace, she has a roof over her head and has food to eat. If it hadn’t been for the sacrifices of people like the older person she spoke to, history and our lives would have been very different she says. An Indian writer spoke to an older lady living with dementia. He compassionately explained that, while his storyteller didn’t remember her life events and fails to recall daily information, as a music lover, she spoke about the many varieties of classical, folk, modern songs and the much loved songs of Tagore. Annie Waddington-Feather, co-editor also points out, an unexpected aspect of the book is personal details of historical Commonwealth events have been recorded for generations to come. The editors also highlight that for many authors, English is not their first language; each story has its own very individual style and reflects the personalities and culture of the authors and storytellers. The book will be available to download free of charge on the Commonage website www.commage.org as of 11 March 2019.